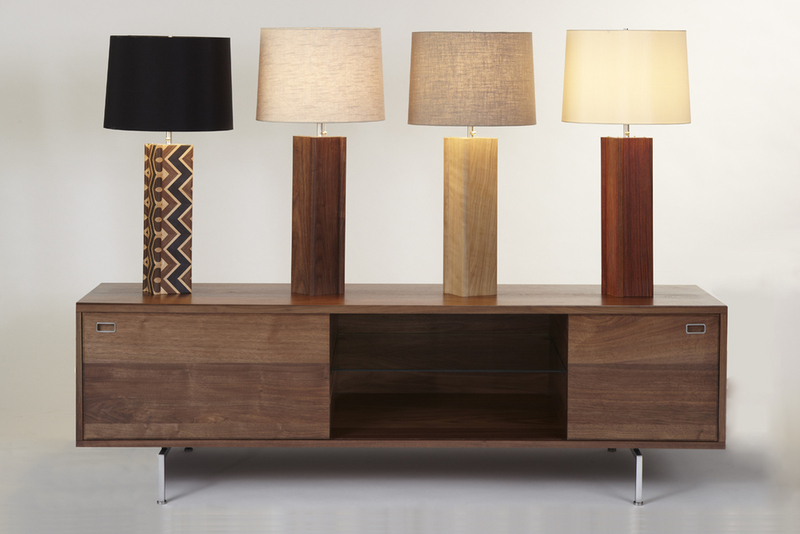 RADHA LIGHTING — Classic Furniture inspired by Mid-century Classics, Made in Grand Rapids, MI out of Solid hardwoods. 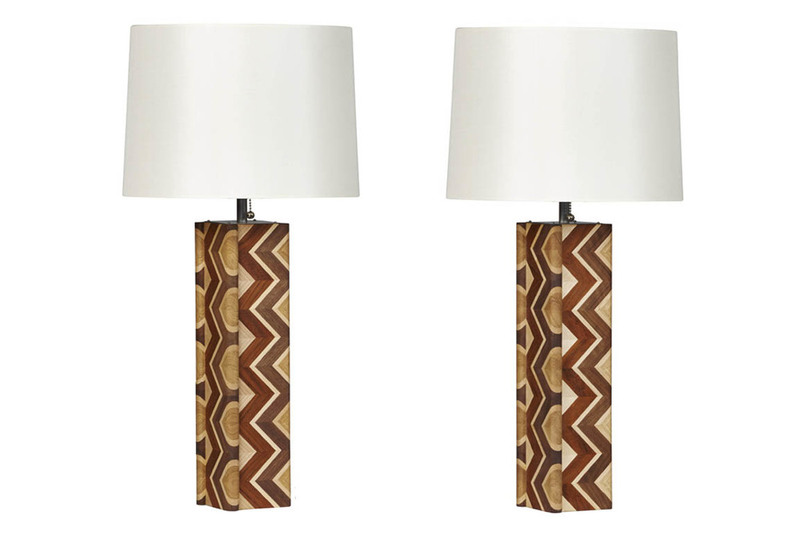 Left to Right: Dark Chevron, Walnut, Quilted Oak, Jatoba. 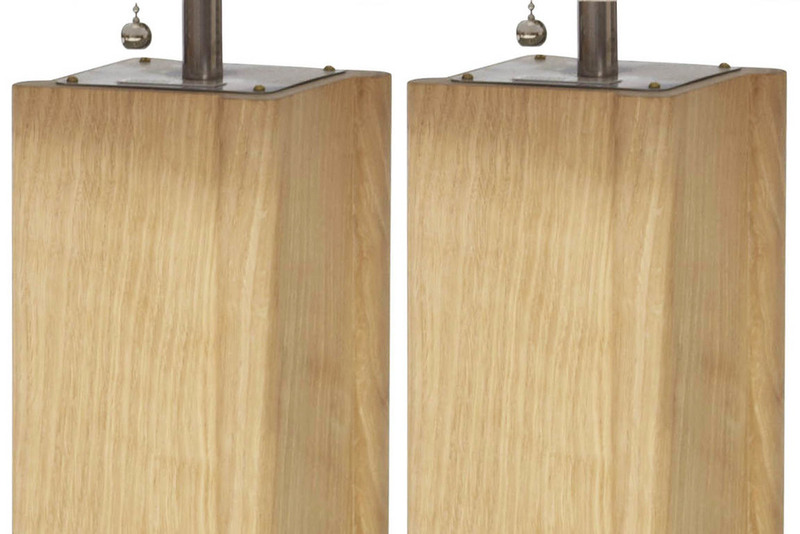 Four panels of solid hardwood are joined at the corners with a geometrically stout bullnose, offering subtle, yet confident personality. Stainless steel and nickel fittings are crowned with four solid brass screws and finished with a fabric cord. Choose solid hardwoods or a detailed natural hardwood chevron design. The purity of exceptional materials and finishes. 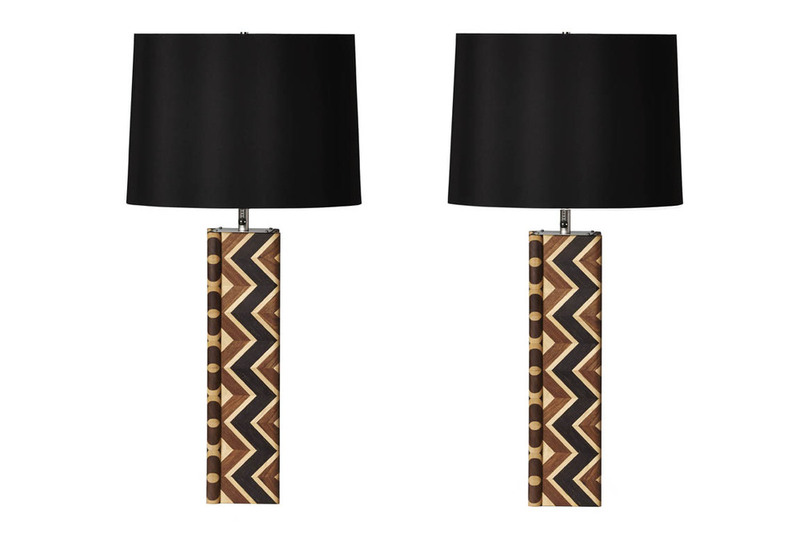 Over 240 pieces of solid hardwood form each handcrafted, detailed chevron lamp. 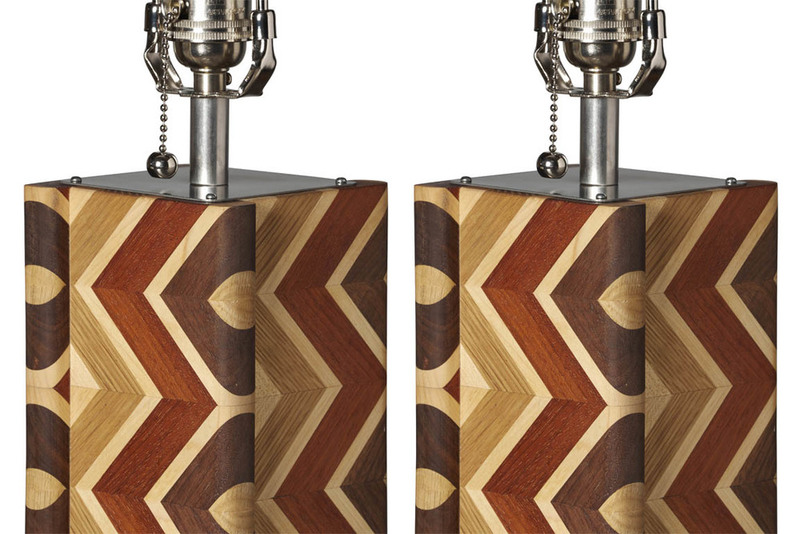 The four bullnosed edges show off the individual hardwoods, creating an edge detail with Moroccan flair.